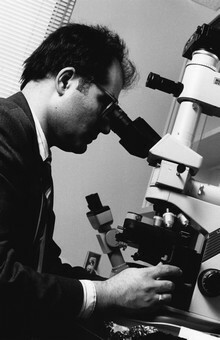 In 1988, Dr. Réjean Hébert was mandated to create a research centre on gerontology and geriatrics. "We dreamt of giving Sherbrooke and Quebec a new research centre on aging. To me, this project was essential if we wanted to solve the problems which have since become current in Quebec society and in the healthcare system," noted Dr. Hébert. 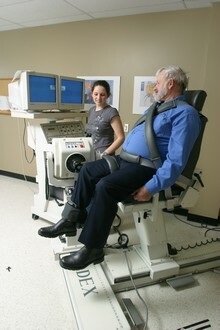 It has been recognized as a research institute of the Université de Sherbrooke since 2005. 2005: Institut de recherche de l’Université de Sherbrooke. De bas en haut : Johanne Desrosiers, Gina Bravo, Ginette Coutu-Wakulczyk, Dr Jacques Allard, Hélène Payette, Dr Réjean Hébert et Gilbert Leclerc. To commemorate its 20th anniversary, the Research Centre on Aging published a brochure entitled Carnet des 20 ans. 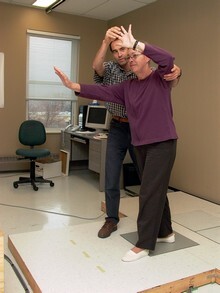 It evokes the history of the Centre and the stakes involved in aging research. How did it all begin…? For the 25th anniversary of the Research Centre on Aging (CdRV), TVA prepared a retrospective of the Centre's evolution as an organization. Click here to watch the video (available in French only).